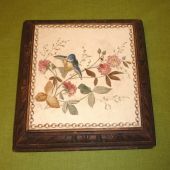 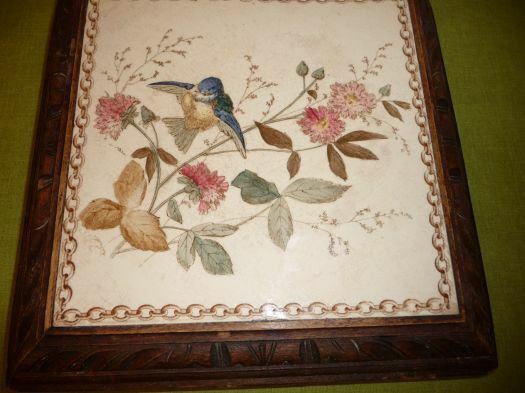 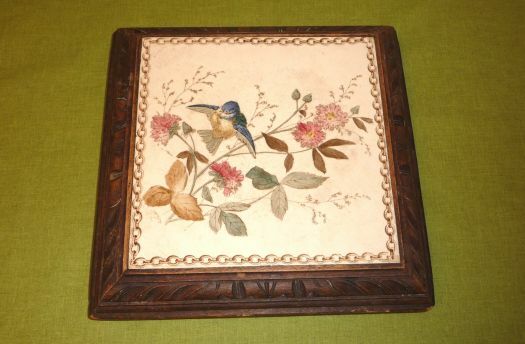 Great trivet in wood and ceramic, with bird pattern. 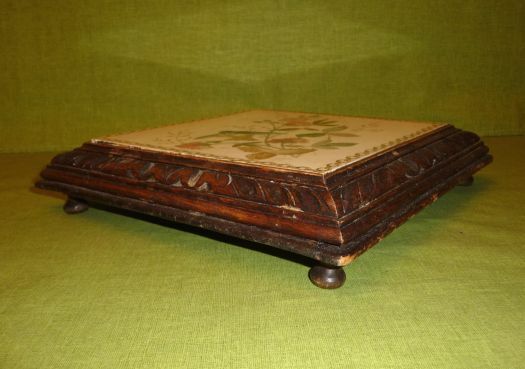 Good condition, wood is a little used on the edge, and ceramic is a little crazed, this is quite normal. 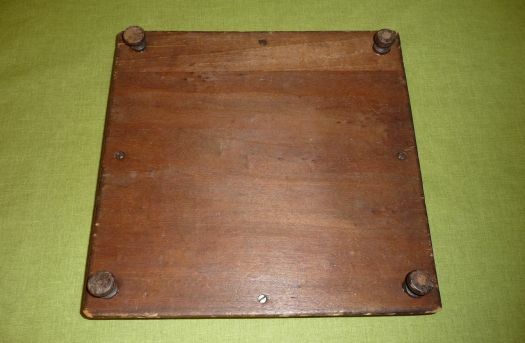 26,5 cm x 26,5 cm.